Translation: No, you won’t be seeing the film anytime soon. Production company Emmett/Furla Oasis has filed a $10 million lawsuit against Morgan Creek Productions. Both companies are producing the anticipated Tupac biopic; however, Emmett/Furla claims that Morgan Creek cast its Tupac Shakur without their permission—a breach of their contract. According to The Hollywood Reporter, Morgan Creek agreed to let Emmett/Furla have sole approval of the film’s director and the lead actor. This latest development (if you can call it that) has hardly been the film’s only setback. John Singleton, who worked with the rapper and Janet Jackson in 1993’s Poetic Justice, was set to direct the biopic but then exited production in April. He now wants to direct a Tupac film of his own. “The people involved [in the biopic] aren’t really respectful of the legacy of Tupac,” John said at the time on Instagram. Carl Franklin is now set to direct. In 2009, Morgan Creek sued Tupac’s mother Afeni Shakur over the music rights to the film. Afeni countersued before both parties eventually settled in 2011. 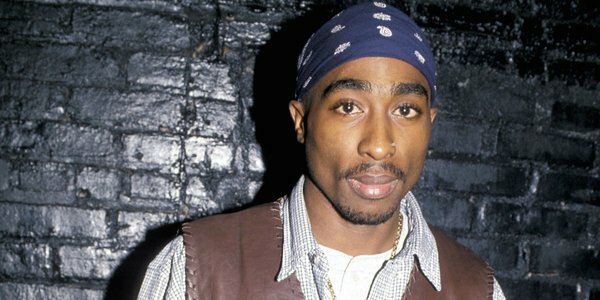 Tupac is more than deserving of a film about his life. Among other life events, he started rapping while enrolled in a performing arts school, only for his mother Afeni to miss the early years of his music career because she got addicted to crack cocaine. Politicians feared him as he faced death threats. He survived several shootings as he rapped about how he was going to die at a young age, all before he was fatally shot at 25. Revisit the Poetic Justice trailer below.